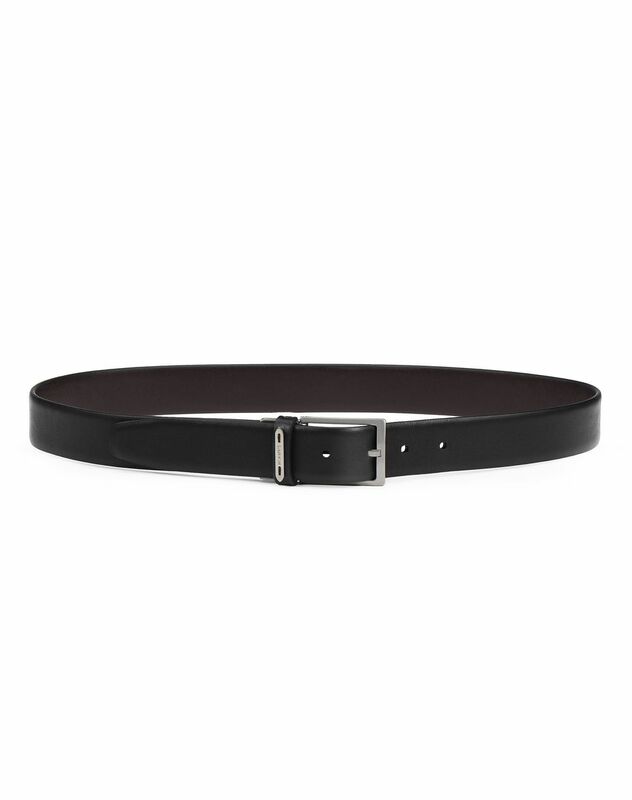 Adjustable reversible belt in black calfskin leather with a brown reverse side, rectangular brass buckle with metal Lanvin-marked plaque. 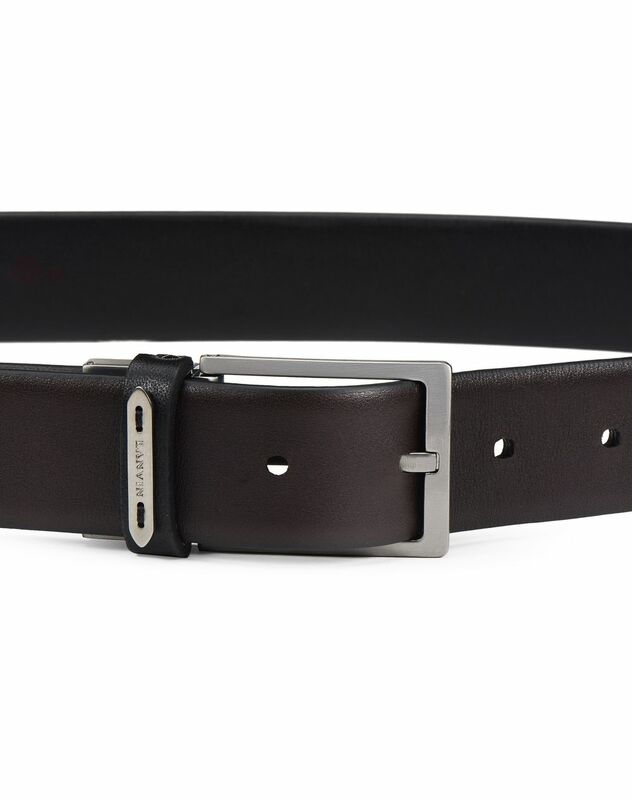 A must-have accessory in every man’s wardrobe, this calfskin leather belt will elegantly enhance all your outfits. This reversible black or brown design can be tailored to suit your taste. 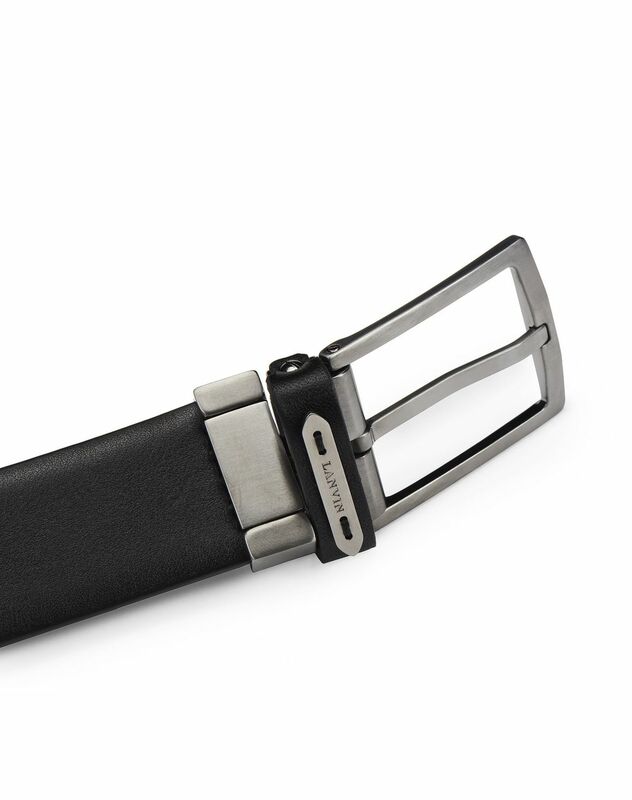 The signature metal buckle also turns over, leaving the brand’s mark on this model. Main material: 100% calfskin leather. Secondary material: 100% brass. Lining: 100% calfskin leather. Waist circumference: S: 85 cm M: 90 cm L: 95 cm XL: 100 cm XXL: 110 cm Made in Italy.